Malcolm Jenkins wants to pass the Clean Slate Act nationwide so people who serve time can still improve their lives. Jenkins said that, in theory, most states provide a way to get your record clear after you’ve paid your debt to society, but in practice, it’s just too hard. Doing so requires expensive lawyers, fees, and an overly complicated legal process that many wouldn’t be able to navigate on their own. 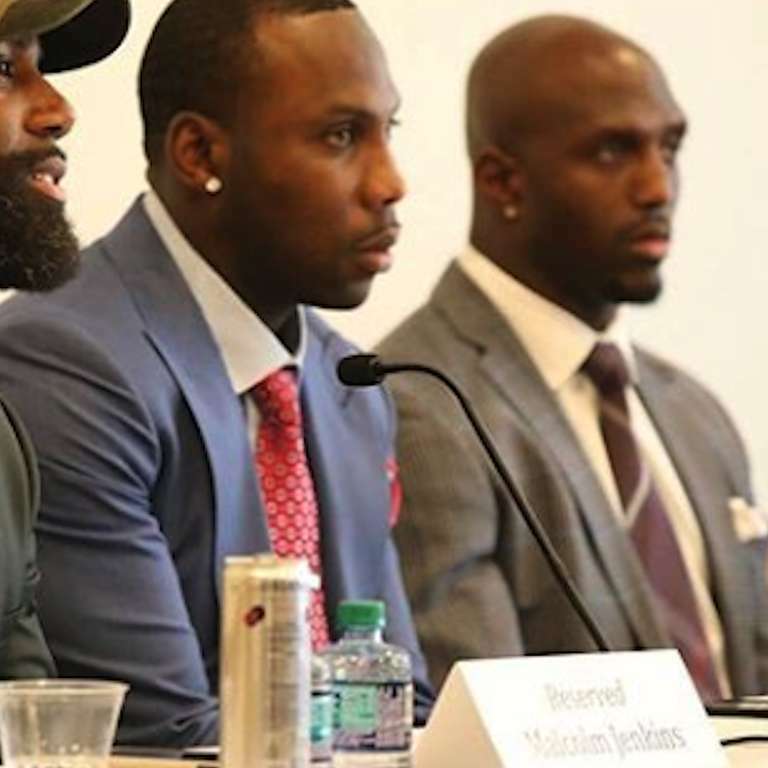 This is why last year he and former NFL player Anquan Boldin formed The Players’ Coalition, a charity created to impact social and racial inequalities in the areas of criminal justice reform, police community relations, and education/economic advancement. With their help Pennsylvania was able to pass the Clean State Act, which automatically clears the criminal history of non-violent past offenders.